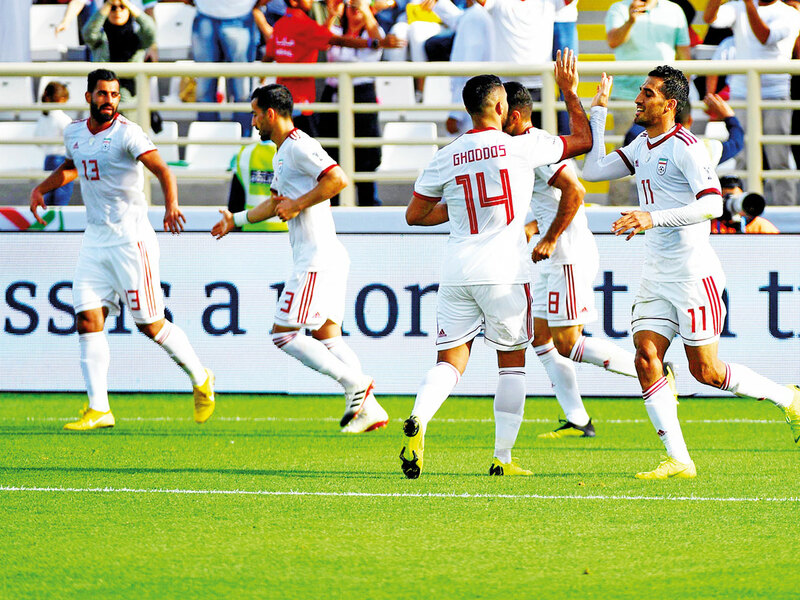 Dubai: There will be more than football on the line as neighbours Iran take on Iraq in their crucial Group D encounter of the 2019 AFC Asian Cup at Al Nasr Club’s Al Maktoum Stadium, on Wednesday. Both teams have made it through to the last 16 from the group following strong displays in their opening games. Iran opened with a 5-0 thrashing of lowly Yemen and followed it up with a 2-0 victory over Vietnam. Iraq struggled to beat Vietnam in their opener, but looked more convincing while winning 3-0 against Yemen. A win today would mean winning Group D and the right to meet one of the third-placed teams coming through either from Groups B, E or F.
Iran coach Carlos Queiroz, who has been at the helm for the past eight years, is well aware of the importance of maintaining the winning rhythm for Team Melli. “This is a game that is meant to help us keep our rhythm going and at the same time an opportunity for me to show trust in my players and show them that they are ready to play and perform for the country,” he said. “I am confident and we want to perform well. All of us need to know why we are here. We need to play for the people and give them joy. The last meeting between these two neighbours was a friendly match at the historic Azadi Stadium in 2017 which Iraq won 1-0 to ended Iran’s two-year unbeaten streak. “Honestly, the most important for us was to rest after our two games. There are games in football where both teams seldom have reasons to be relaxed and play. Both our teams have done our jobs [of qualifying], and now we can play easy and enjoy a great match,” Queiroz added. “It is time for us to express ourselves and what has happened in the past doesn’t count and doesn’t have any bearing of what the result will be. Srecko Katanec, the Irag manager and one-time UAE coach, said that he was looking forward to a good game of football. “I am not afraid of any match,” he said. “Even if we play Argentina I don’t care. Tomorrow is a game where players will be playing good football without any pressure. We want to win and we will try to win.